Recently faced issue of VNC server while we have upgraded exadata operating system. We have installed VNC server manually on compute node and tried to start the VNC server. Well, it was starting without any issue but it was giving only gray screen without console output. When we have checked VNC server log file, it was showing below error. This error is indicating that xterm rpm is missing. After installing xterm rpm everything was working fine. Related errors if respective RPMs are not installed. Exafusion allows database processes to read and send Oracle Real Applications Cluster (Oracle RAC) messages directly over the Infiniband network bypassing the overhead of entering the OS kernel, and running the normal networking software stack. Exafusion is especially useful for OLTP applications because per message overhead is particularly apparent in small OLTP messages. It helps small messages by bypassing OS network layer overhead. EXAFUSION_ENABLED parameter is used to enable or disable the Exafusion accelerate cache fusion protocol feature, which is available on the Linux operating system of Oracle Exadata Database Machine only. Exafusion is disabled by default. To enable Exafusion, set the EXAFUSION_ENABLED initialization parameter to 1. To disable Exafusion, set the EXAFUSION_ENABLED initialization parameter to 0. This parameter cannot be set dynamically. It must be set before instance startup. The Exafusion feature does not support mixed mode operation on an Oracle RAC cluster. Either all the instances in an Oracle RAC cluster must have the feature enabled or none. Rolling upgrades of a non-Exafusion enabled Oracle RAC cluster to Exafusion are not supported. It is not supported on any non-engineered system or SPARC Super Cluster (SSC). If you set the EXAFUSION_ENABLED parameter on a non-supported platform, then the instance will be prevented from starting up, and an ORA-00439: The specified feature is not enabled: string error message is generated. What is Cell Efficiency Ration in Exadata? If you have observed, when we invoke CELLCLI utility, it use to display Cell Efficiency Ratio in banner. Example given below. 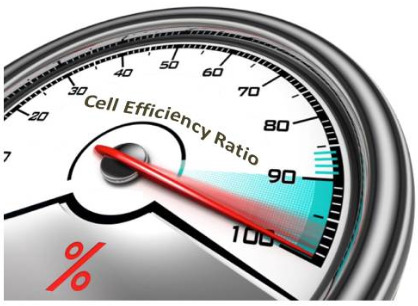 So what does cell efficiency ratio indicate? It is the ratio between data accessed by the storage cell and data processed by the database for the cell. Higher the value greater the I/O savings as a result of offloading. Then the ratio of the total MB accessed on the cell to the MB accessed on the host (for the cell) is computed every minute that CELLSRV is active by Management Server (MS). It is difficult to explain as there is no manual intervention we can do nor we can fetch detailed result of it. We can use it for reference purpose only as there is no practical value from performance perspective of Exadata.